A fun-filled masterclass in modern technique and good taste. Disfrutar lives up to the hype and delivers a very special experience. 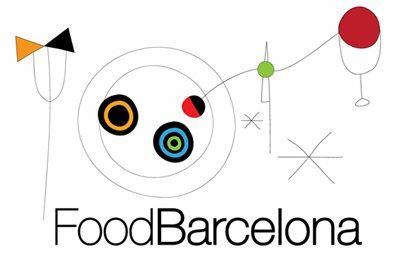 El Bulli, El Bulli, El Bulli … The ghost of Ferran Adrià’s famous restaurant, closed in 2011, is more of an active, pan-chucking poltergeist haunting the Barcelona food scene than a faint phantom presence; it still demands attention, dominates discussions and defines expectations. Brief stages in the former high temple of molecular gastronomy (a term Adrià dislikes, but which seems to have stuck) are boasted of at the top of every young chef’s resume, while some of the restaurant’s more senior team members have gone on to become culinary stars in their own right. Frankly, I’m tired of talking about it, but tourists still come to town in search of El Bulli’s legendary creativity, trying to piece together a mosaic of what it once offered from the restaurants now run by its alumni. Near the top of their list should be Disfrutar. In fact, it should be near the top of everyone’s list: it’s an exceptional restaurant. It belongs to three of El Bulli’s former head chefs, Mateu Casañas, Oriol Castro and Eduard Xatruch, who have busied themselves since its closure by running the much-admired but comparatively casual Compartir restaurant on the Costa Brava. At Disfrutar, which they opened in late 2014, they have moved closer to the kind of fine-dining experience they once helped define. Let’s be clear from the start: Disfrutar isn’t El Bulli, and it isn’t trying to be. What is is trying to be, with great success, is a worthy stage for some of El Bulli’s concepts and techniques. And especially its mind-bendingly fierce attention to detail. The buzz around Disfrutar since day one has been intense, with more than one dazzled food writer emerging stunned, astonished and moved to heap praise upon it. You can count me among them, because what follows is going to be nothing but gushing admiration. From the street, Disfrutar (Spanish for ‘to enjoy) doesn’t look like much. It’s attractively designed but its low-key location and the bar at its entrance don’t even hint at what lies deeper inside. Walking through, you have a Tardis-like experience as the restaurant opens up and gets bigger before your eyes: an action-packed open kitchen; an airy, high-ceilinged dining room that’s lined with intricate ceramics; and then a sun-dappled terrace outside that serves as a quiet space for gobsmacked customers to reflect on their meal over a coffee. There are employees everywhere. I didn’t count the full brigade and waiting staff but there were many more than I’d expected, another sign of Disfrutar’s ambition. There are two menus: the 19-course ‘Disfrutar’ for €70 and a 28-or-so-course extravaganza called the ‘Festival’ for €100. We chose the second. For once, I won’t try to fully describe every dish because it would simply take too long. The meal itself isn’t exactly one for people in a hurry; you can expect to be eating for well over three hours but, amazingly, I didn’t feel over-full at the end of it – though I certainly wasn’t hungry. Red rose petals act as spoons for the dewdrops of gin that lie pooled on them, while beetroot meringues emerge like magic from soil-like sesame seeds when swirled. It’s very theatrical, but the real show takes place on your taste buds. A light, crisp wafer called ‘multipescaito’ of tiny fried fish with fresh trout roe and lemon zest. Tomato ‘polvorón’ sticks to the roof of your mouth in a starburst of, well, tomato-ness before being deliciously dissolved by unctuous Caviaroli (arbequina olive oil shaped into caviar-like capsules). A transparent ‘ravioli’ parcel of deconstructed pesto (basil and pine nuts), dipped into liquid Parmesan serum, is heavenly. ‘Disfruta de la aceituna’ is a signature dish straight out of El Bulli. The ‘olives’ are spheres of cocoa butter that melt in the mouth to release their liquid treasures of olive oil and bitter orange, served with a spoon of orange blossom essence and wonderful crusty bread to dip into the oil. Tender young walnuts with ratafia, served in shells. Then a flavour bomb of smoked and frozen Idiazabal cheese on a biscuit, served with a cloudy apple and celery juice. I was already transcendently happy but the next dish guaranteed that I’d leave in a state of complete bliss. A crispy egg yolk surrounded by tempura batter sat in a cup of jellied mushroom and truffle, atop a decorative nest. Knee-tremblingly good. Gorgeous, silken ‘recuit de drap’ (a fresh Catalan cheese) – except in this case it’s not; Disfrutar’s is made with almond milk – drizzled with truffle, firtree honey and pine nuts, served alongside Catalan anchovies and almond biscuits. Crab and avocado in an air-light meringue sandwich, smeared with Korean kimchi, is, like so many dishes here, something you immediately want more of. A parcel of surprise, delight and delicousness. Marinated mackerel and salmon nigiri sushi with cauliflower-in-vinegar ‘rice’, and rich pine nut and mushroom dumplings that arrive in a cloud of dry ice “steam”. And still it kept coming, each dish a miniature marvel. Perhaps the best of them all, however, was the ‘pasta’ carbonara: transparent gelatin macaroni, tossed at the table with truffle foam and piled with Parmesan. If this doesn’t make your toes curl, you’re already dead. A ‘liquid salad’ shot clears the palate but tastes and looks a little too much like the green smoothies I drink to recover from fine dining to actually fit in during it. Eel gelatine with soy milk cream and Ossetra caviar – slippery, smooth and superb. Mention must be made of the wine pairing, which was good throughout, but particularly so here: a 2013 Belondrade y Lurton D.O. Rueda that’s one of the best Spanish whites I’ve ever tasted. Razor clams with ‘peas’ in salsa verde was enjoyable, but the spherified pea essence didn’t, in my opinion, improve on actual peas. It looked stunning and tasted great, but was one of the very few dishes where the technique took away from, rather than added to, the overall enjoyment. “Unilateral langoustine” is a translation error. It’s not a langoustine but a large prawn (which, confusingly for menu writers, is known in Spain as a langostino. And in the U.S. as a shrimp. Which is something else again in the U.K. It’s a nightmare…) Whatever you want to call it, it’s superb, “seasoned” with baby fish fry, served with black garlic and parsley foam and a hint of chili. Red mullet with pork jowls and aubergine gnocchi. The smokey, baba ghanoush-style gnocchi with sour cream was fine, but the red mullet, one of my favourite fish, is the star. A surprisingly straightforward dish. “Veal scallops” turned out to be fine slices of wagyu beef, beef marrow and truffle. It’s very hard to go wrong with that combo, and it tastes as good as you’d expect. “Lemon verbena” and pineapple sorbet with coconut and liquorice was a refreshing start to the desserts. I loved the cheesecake cornet. Crisp red fruit cone, filled with cheese, topped with cherry sorbet and mint. Wow. Then Tarta al Whisky. Apologies for the bad photo but I was distracted by rubbing Lagavulin single malt Scotch onto my hands and sniffing them, as directed by the waiter. Once my nose was full of that, I took spoonfulls of frozen egg yolk and transparent almond (I think; I forgot to write notes due to having booze-soaked hands) from the cork support, alternately sniffing and swallowing. Amazing. But we still weren’t done. These “peppers” were actually made of jelly filled with chocolate ganache, the red one delivering a mild chili kick, salted and drizzled with oil. Just a joy. Then to finish, a coffee profiterole (again, apologies for photo), impossibly light, incredibly good. We retired to the terrace with a real coffee to reflect on what we’d just had. There’s nowhere else in Barcelona like Disfrutar. Like its name suggests, it’s pure enjoyment; it’s fun, clever and impressive. It also delivers a coherent eating experience across the menu, with technique deployed to tease out emotions and reveal new aspects of ingredients, not just to show off the skills of the chefs. For the vast amount of work involved, the menus are massive bargains. Put it this way: each course works out at less than €4. Disfrutar must, surely, get a Michelin star. Two stars would not be at all unreasonable. It’s not a restaurant you’d eat at regularly – or even my favourite fine dining restaurant, come to that – but it offers something unique and should be in the itinerary of every food lover who visits Barcelona. For once, you can believe the hype. Disfrutar: Carrer de Villarroel 163, 08036, Barcelona; Tel. (+34) 933 48 68 96; Metro Hospital Clinic (L5); Closed Mondays. After reading that, I am ready to go back again. I loved those peppers at the end. Great writing!